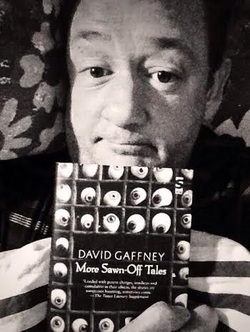 Laugh-out-loud funny, cringingly weird, desperately sad, David Gaffney’s characters are awkward, often disconnected, yet profoundly sympathetic. He creates a lonely, yet deliriously lovely universe, where relationships begin, stutter, then crash to earth, and each mundane transaction peels away the everyday to reveal a canyon of emotion. Shrigley meets Curb. "great read, these twisted wee tales."